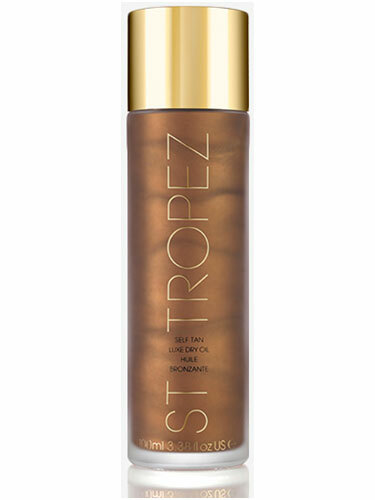 The most luxurious tan yet for the ultimate natural-looking, luminous glow that lasts for days. This Brazilian-inspired indulgent dry oil is suitable for all skin tones with a quick-drying formula that is clinically proven to moisturise for up to 7 days. Shake well before use. Apply to clean dry skin using an Applicator Mitt or hands. Wait until touch dry before getting dressed. Allow 4 – 8 hours before getting wet. Wash hands after use. Carry out a patch test 24 hours before use. Don’t apply to broken, irritated or sensitive skin. Stop if irritation occurs. Self tan may stain. Avoid contact with eyes and lips; rinse if contact occurs. This product does not contain a sunscreen and does not protect against sunburn. Repeated exposure of unprotected skin while tanning may increase the risk of skin ageing, skin cancer and other harmful effects to the skin even if you do not burn. Store below 30ºC/86ºF.